POST & PACKING ONLY PAYMENT BELOW. SORRY IT'S ALL SOLD OUT. For Customers purchasing Leather editions the delivery will be by Royal Mail special delivery at £14.99 per copy. This option can also be paid for below. Sorry no combined postage discounts on the leathers unless you have been lucky enough to purchase three or more! Please note we will be despatching the hardbacks and leathers around six weeks apart so cannot combine post and packaging for these two editions, in this case. The aim of this book is to celebrate the fishing float and explore much of who made what, where, when and why. We will look into what shaped 100 years of angling's most humble artefact and meet with some of the best known, most outstanding and most intriguing examples. If you are enchanted by old fishing tackle; if you appreciate nostalgia; if you ever caught a fish using a float; if you are a collector, an investor, a light browser or a deep reader or simply a curious float fan then this book is most definitely one for you. Superior First edition Limited to 60 Copies £210 plus £13.99 P&P FEW COPIES LEFT Contact me at info@fishingbooksender.co.uk if you wish to order a superior copy. Please click on details above to read more on specifications. If you need any help or assistance then please contact me on info@fishingbooksender.co.uk or telephone 05601 972040. For more details on Derek and "Too Many Rods" please click on details above. This is the long awaited angling autobiography by one of angling's true elder statesmen, Derrick Davenport. The third book published in conjunction with Martin Mumby of Wye Angling Publications. 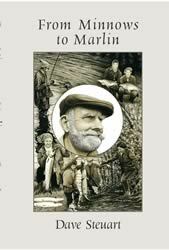 Eddie price's Diaries and From an Anglers Journal by Ian Watson, being the first two. The dustjacket has been beautifully produced by well known artist and illustrator John Searl. Angling wouldn’t be described as a passion if it wasn’t for passionate people. Mick Hanson is as passionate as any and after years of contributing to the angling press, in his first book Along the Margins he tells the angling story that has been a lifetime in its creation. Its fifteen chapters are filled with tales of searches for and encounters with specimen fish of many different species all over England. 112 pages, all in colour. 250 copies, numbered and signed. VERY Limited copies left in stock - When they are gone they are gone! Now less than ten! The latest and most comprehensive book brought to you by the British Carp Study Group. Released 1st December 2007. Signed By editor/compiler's John Abbots and Ken Dallow. Mint Unread condition.